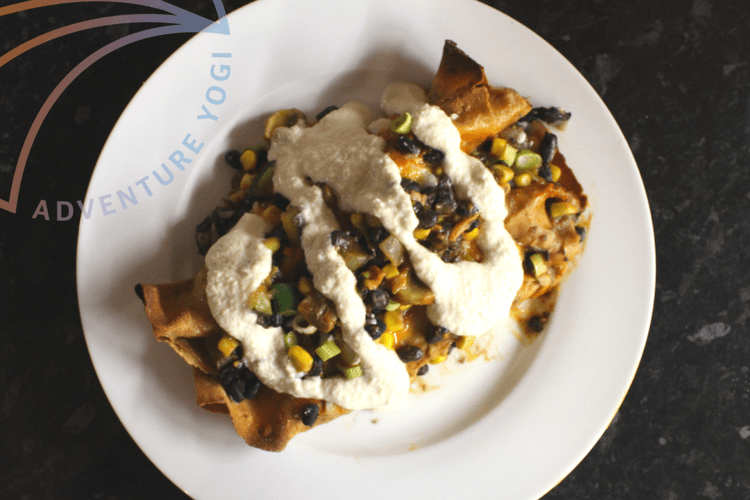 These black bean enchiladas are quick and easy to make, with this healthier vegan recipe taking around an hour in total. The great thing about enchiladas is how versatile they are. Don’t have any mushrooms, but have sweetcorn? No problem! No black beans in the cupboard, but a ton of cannellini beans? Feel free to switch it up! The enchilada sauce can also be adjusted to make it hotter or milder according to your tastes, though I’ve found this amount of chilli to be pleasing to most. The beans in this recipe are an excellent source of protein, whilst the range of vegetables pack in loads of nutrients. Being a vegan and optional gluten free dish, it’s suitable for many diners, too! – In a small saucepan, warm the oil over a low heat. Add the flour and whisk until no lumps remain. – Add the spices, tomato puree and vegetable stock. Whisk until smooth. Simmer for 10-15 minutes, stirring occasionally. – Place all the ingredients in a food processor or high powered blender. Blend until very smooth. – Pour half the enchilada sauce in a large oven-proof dish. – Heat the oil in a large pan or wok. Add the onions and cook for 5 minutes until softened. – Add in the bell pepper, courgette and mushrooms. Cook for another 5-10 minutes, or until softened. – Put in the beans and stir until warmed through. – Add about 2 tablespoons of vegetable mixture to each tortilla. Roll it up tightly and place seam side down in the oven-proof dish. Repeat with remaining tortillas. – Pour the remaining vegetables and enchilada sauce over the 8 tortillas. – Sprinkle the spring onions and parsley on top, adding the grated cheese if required. – Bake in the preheated oven for 20 minutes. – Serve immediately with a good drizzle of cashew cream. 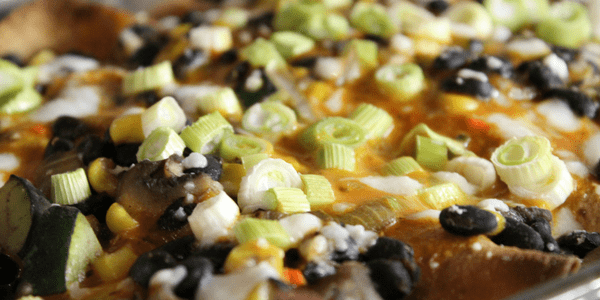 The following nutrition facts for these black bean enchiladas are a rough guide only and can change according to serving sizes, and fluctuating ingredient quantities.